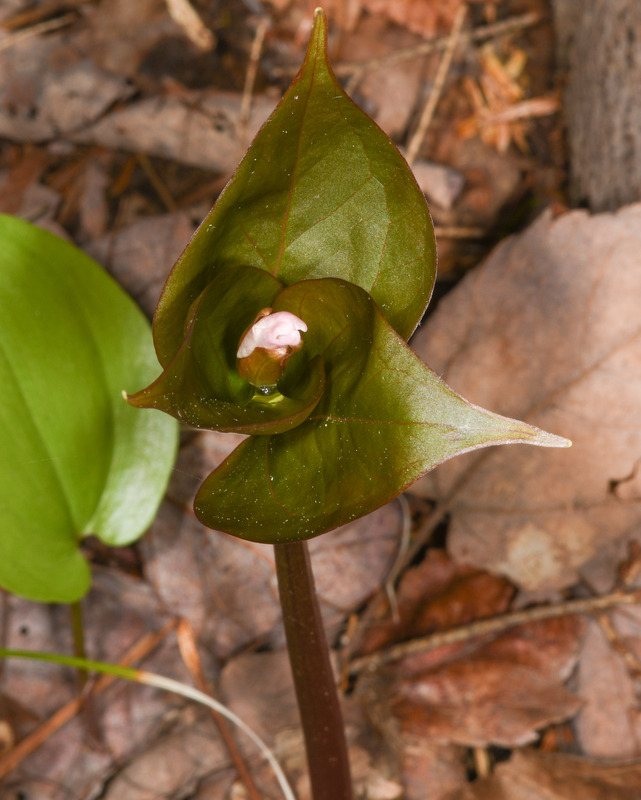 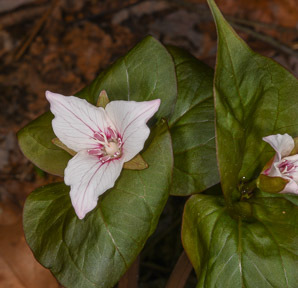 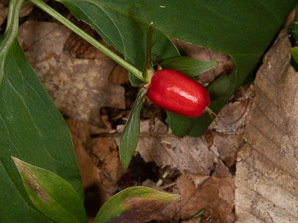 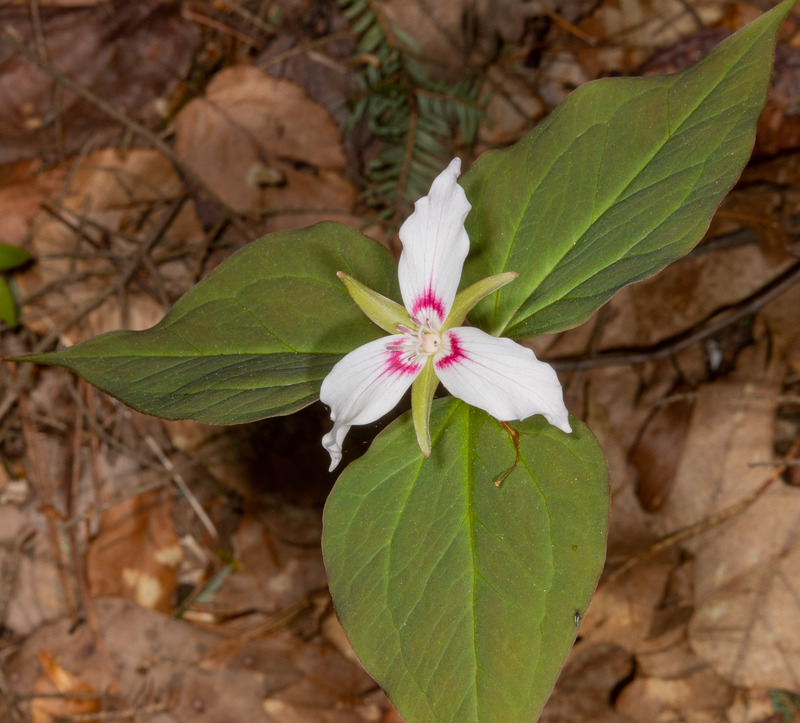 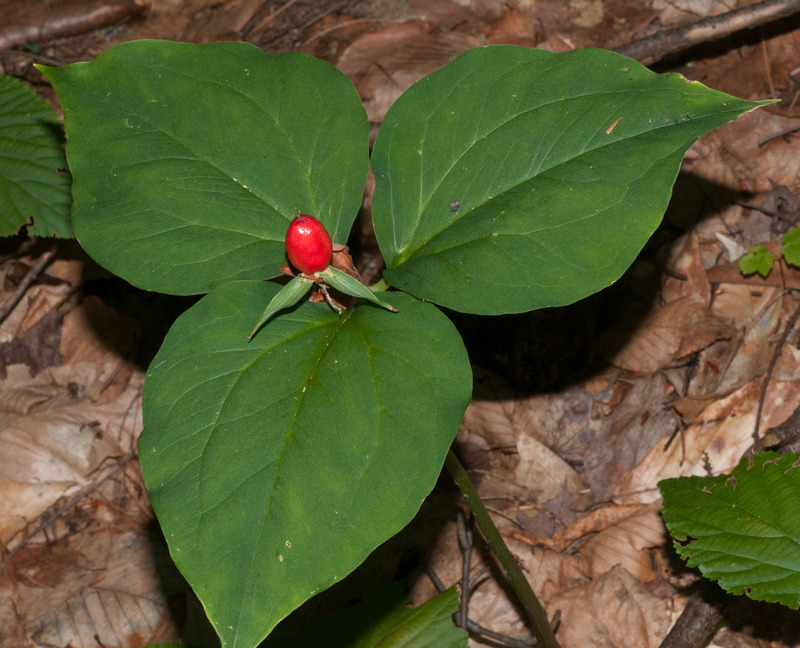 The painted trillium is native to eastern North America. 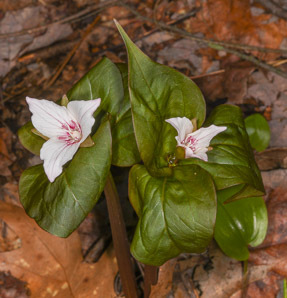 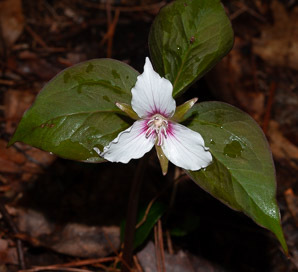 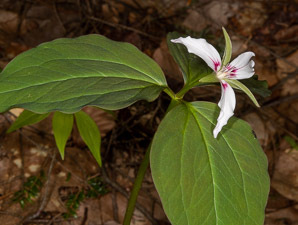 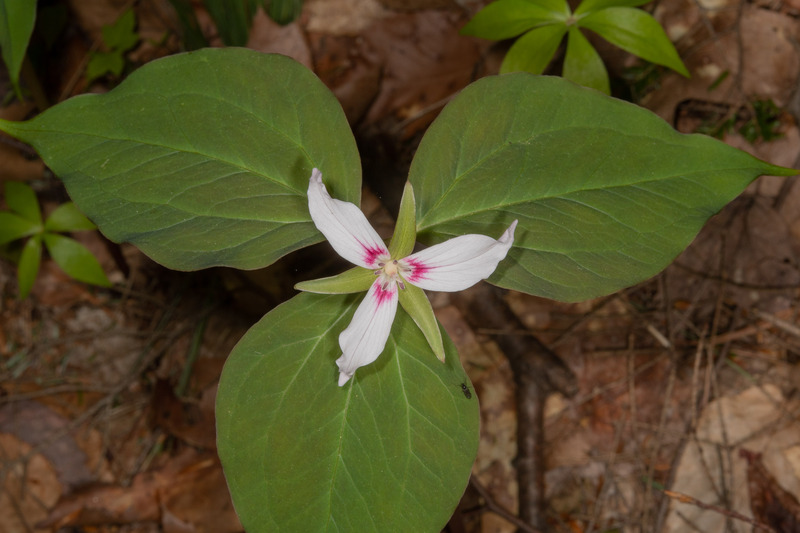 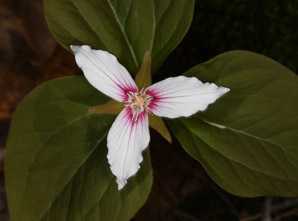 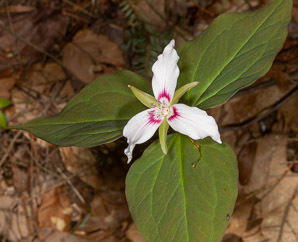 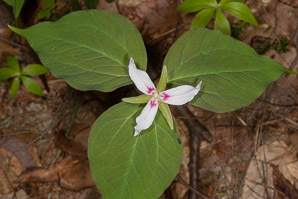 Trilliums are members of the lily family. 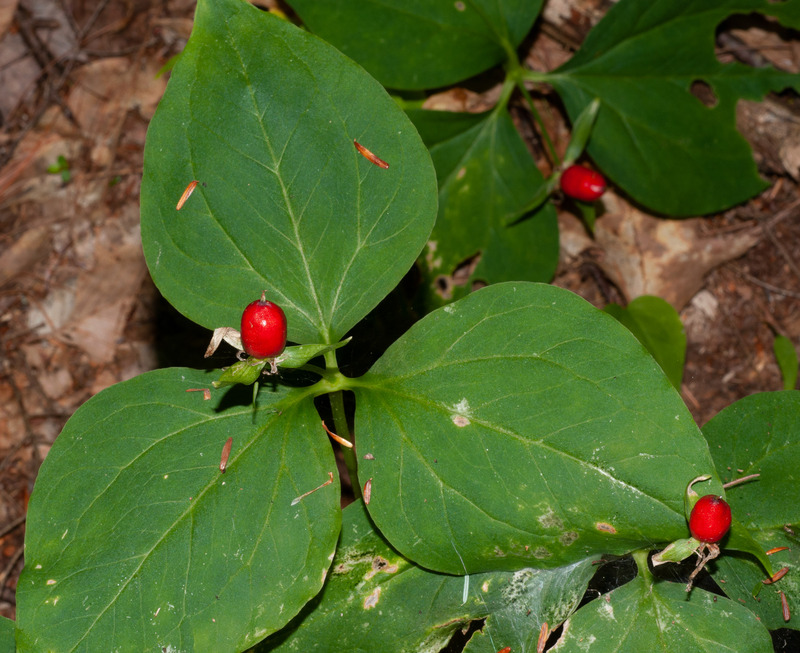 Identification: Plants are 4-16" (11-40 cm) high, with dark greenish or maroon stems. 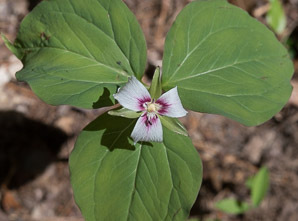 A whorl of three leaves forms atop each of the 1-3 stems, each leaf facing straight upward, with a single flower emerging from the center. 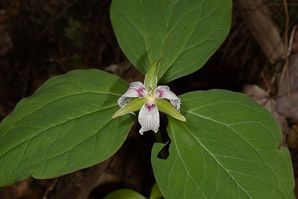 Leaves are oval or diamond-shaped in shape, wider at the base, tapering to pointed tips, and with even edges, 4½-7" (12-18 cm) × 3-8" (8-20 cm). 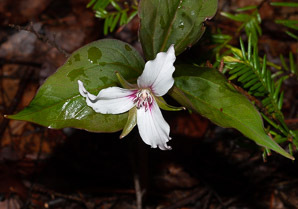 A flower tops each stem, elevated above the leaves, with three conspicuous white petals tinged with pink near the centers, and large yellow stamens. 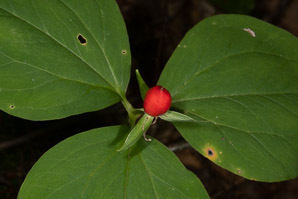 Each petal is about 1-1½" (2.5-3.8 cm) long and ½-¾" (1.3-1.9 cm) wide. 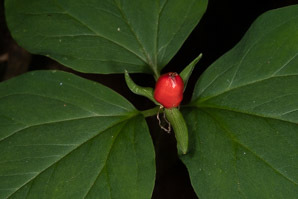 Fruits are ⅜-¾" (1-2 cm), roughly pear-shaped or shaped somewhat like a prism, and scarlet in color. 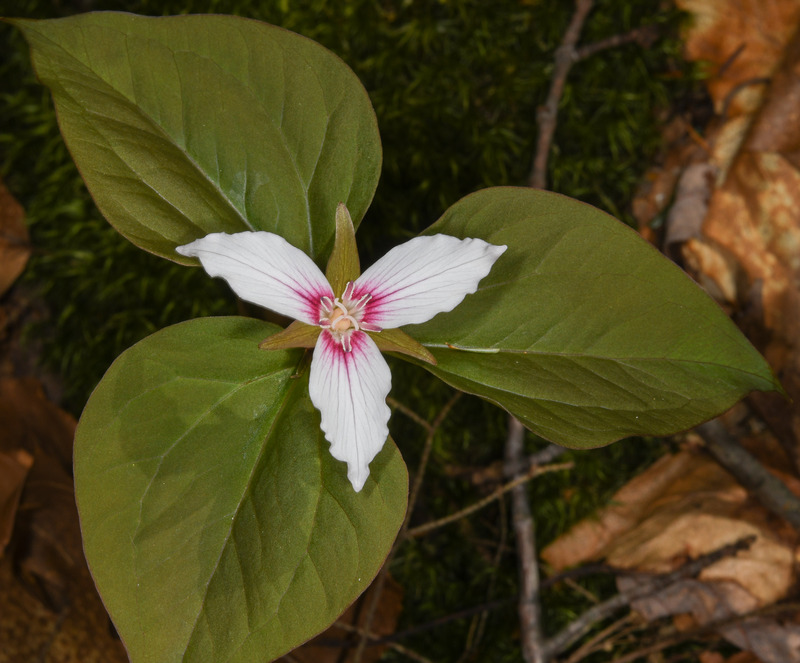 See also this Trillium comparison table. 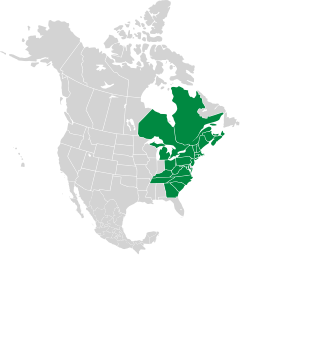 By T.G. 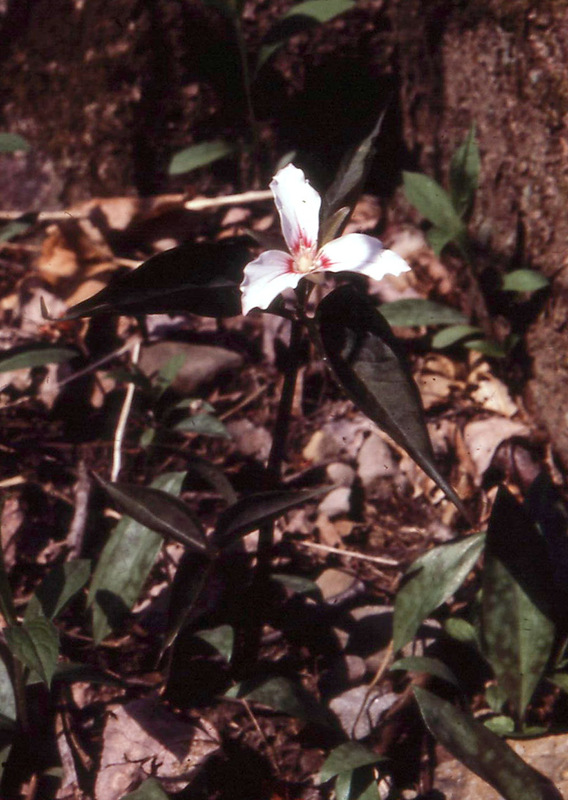 Barnes of the Forest Service of the United States Department of Agriculture. 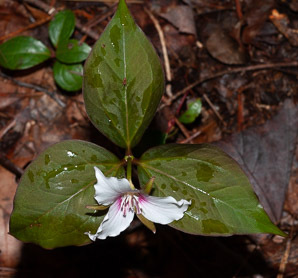 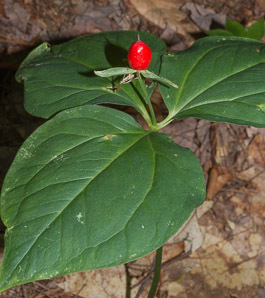 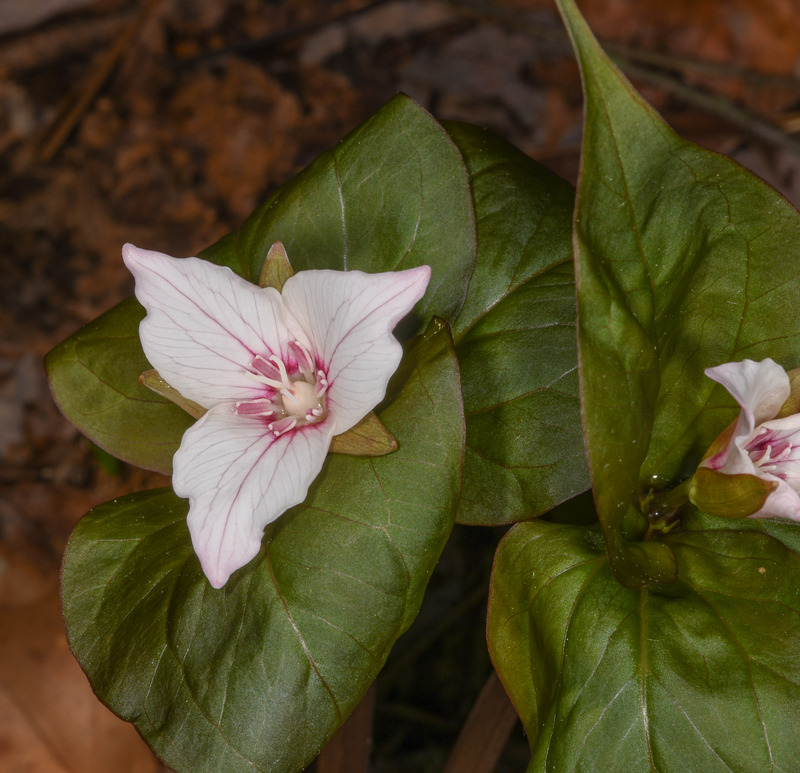 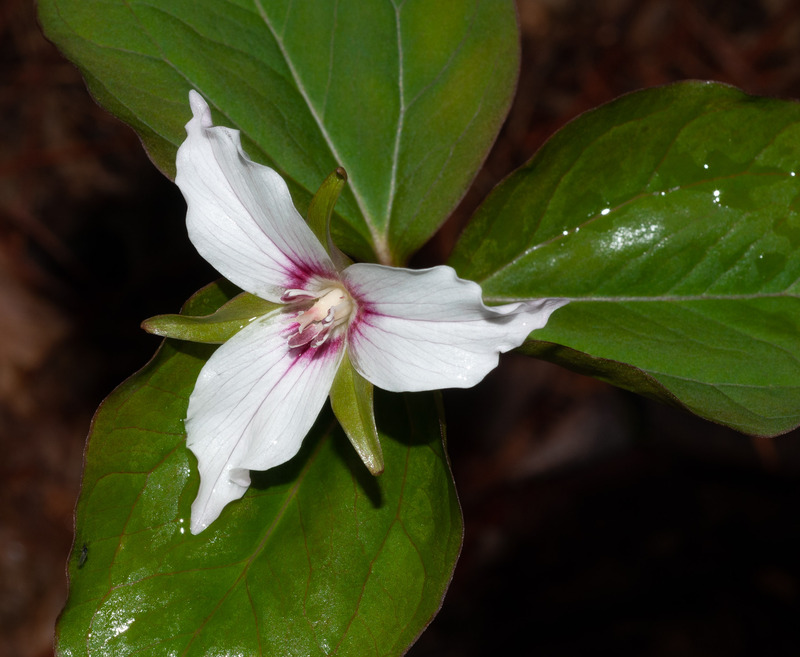 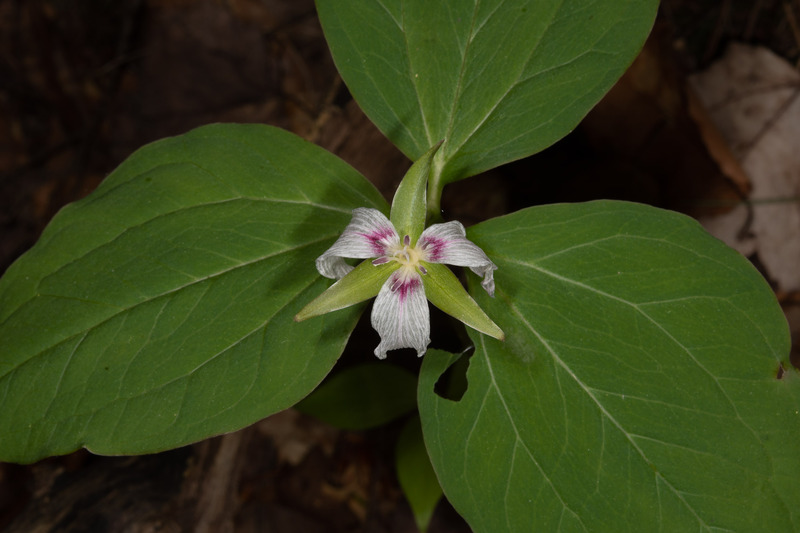 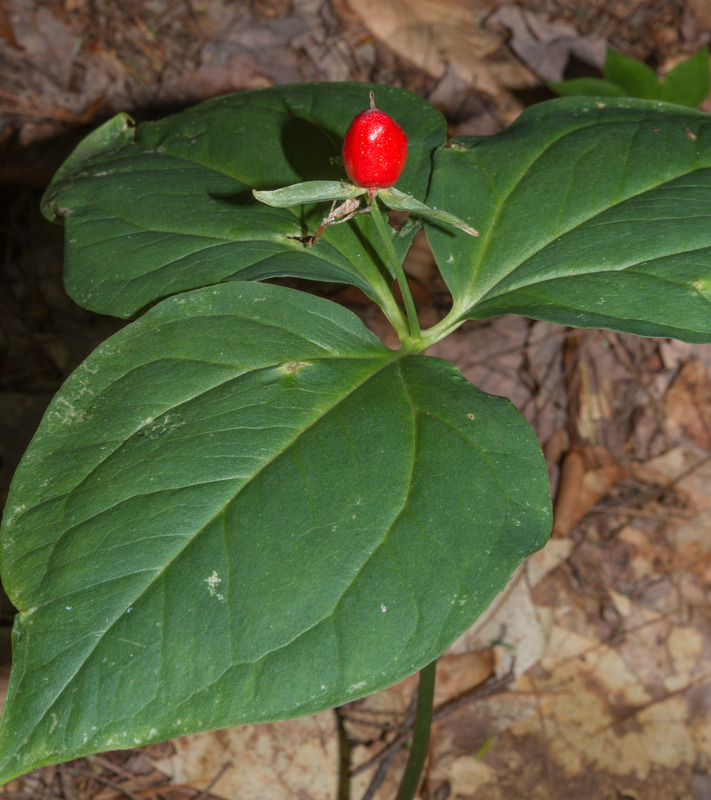 Trillium undulatum description by Thomas H. Kent, last updated 12 Oct 2018.